Want to know about how much cholesterol is in one egg? The egg whites cholesterol and saturated fat levels? Are eggs bad for cholesterol? The differences in the eggs and cholesterol amounts across different bird species, like chicken egg, duck egg, goose egg, quail egg and others? How to prepare eggs the low cholesterol recipe way? If you answered yes, then look below for your answers on eggs and cholesterol! Eggs and cholesterol and saturated fat levels of various bird eggs. 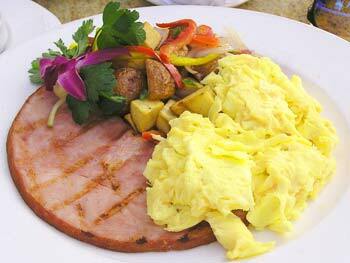 Understanding the eggs and cholesterol facts and figures. Preparing eggs the low cholesterol way. The egg whites cholesterol levels and saturated fat levels is zero. Egg whites are cholesterol and saturated fat free. So when we talk about the cholesterol in eggs, we are really talking about the saturated fat and cholesterol levels in egg yolk. Hen eggs and duck eggs are very popular, while quail eggs, turkey eggs and goose eggs tend to be eaten rarely, but the finding is the same for all these eggs, the egg whites cholesterol and saturated fat amounts are zero, while the egg yolk contains the cholesterol and saturated fat. Eggs are both bad and good for cholesterol. 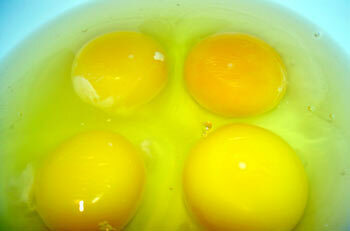 The egg yolks are definitely not good and may raise cholesterol levels. The egg whites are considered safe. However, if looking at the eggs and cholesterol levels, research has found that the egg whites contain a substance that counteracts the harmful effects of the egg yolk on your cholesterol level, to a big extent anyway. So eating a whole egg appears to be somewhat safe, even for someone on a low cholesterol diet. Many health professionals, including myself, consider two eggs a week to be relatively safe to eat - consider the eggs as unlikely to cause any serious effect on ones blood cholesterol levels. However, because of the eggs high cholesterol and saturated fat, we still look at the whole topic of eggs and cholesterol with some trepidation, which may turn out to be justified by later research. There are several ways of looking at the eggs and cholesterol levels of these different species of fowl. 1... How much cholesterol is in one egg? How much saturated fat is in one egg? 3... Eggs cholesterol per gram of yolk. From better to worse: guinea fowl has 12.77mg cholesterol, there followed by chicken, pheasant, quail, turkey, duck, and goose, with the dove egg yolk the worst with 21.99mg of cholesterol / gram. Bair and Marion 1978. The concentrations of egg cholesterol and egg saturated fat may differ from one flock of birds to the next. For example, quail egg cholesterol can range from about 76 mg up to a massive 400mg of cholesterol per 9 gram egg! Further, Bair and Marion made an interesting observation - egg yolk cholesterol appears to decrease with the age of the hen, at least in chickens anyway. The concentrations of cholesterol and saturated fat reported in any common food table should be treated strictly as a guideline, NOT a fact. Likewise, egg cartons may only give the average cholesterol level for the species, rather than from the farm that produced them. All this means that eggs and cholesterol is a very difficult topic to discuss with any precision, but the guidelines provided here on eggs and cholesterol should provide a solid reference point to work from at least. As an egg's cholesterol is high, with the added disadvantage of having saturated fat, a high cholesterol sufferer normally restricts their chicken egg intake to one or two eggs per week and most likely should avoid the other types of eggs for the most part. The low cholesterol recipes for preparing eggs is to either boil, poach, scramble using skim milk, or fry using a thin spray of vegatable oil, such as canola oil. 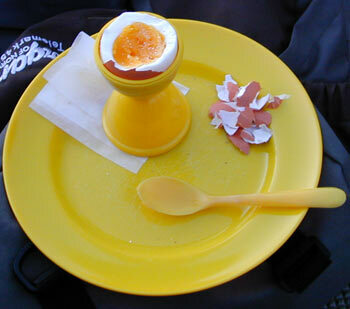 The egg can be seasoned any way you want, provided the seasonings are cholesterol and saturated fat free. 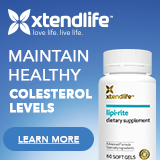 Try using the herbs and spices that help lower cholesterol - these can be found on our lower cholesterol naturally page. In summary, an eggs cholesterol is found in the egg yolk, different species of birds have different size eggs, they have different ratios of egg white to egg yolk, as well as different concentrations of cholesterol per gram of yolk. In relation to eggs and cholesterol, the best eggs to eat on a low cholesterol diet, appears to be the common chicken egg, which has the lowest egg cholesterol and the lowest egg saturated fat, per 100 grams / 4 ozs. If you are able to buy eggs from the source, choose chicken eggs laid by old birds, for even lower cholesterol.